Phylogeny was prepared according to Pryer et al., 2004, Laennen et al., 2014, Testo et Sundue, 2016. 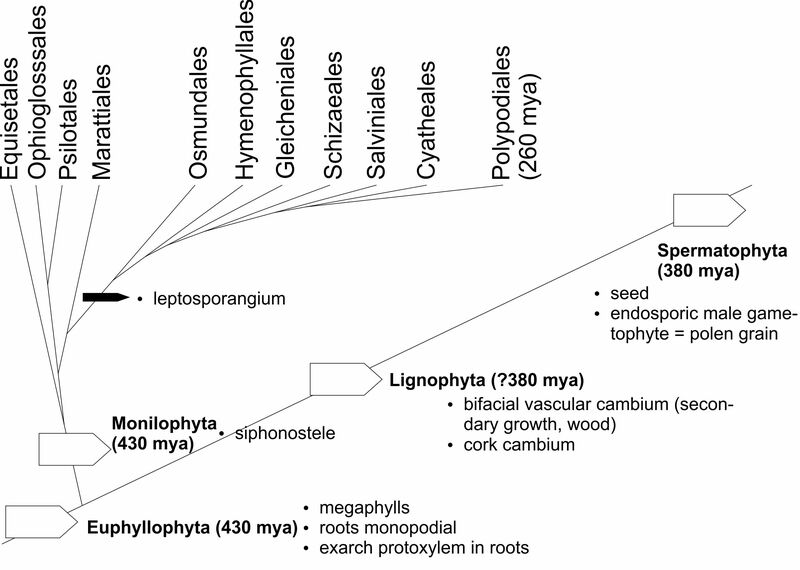 Years are upper quartils of years summarized by Angiosperm Phylogeny Website, version 13 or years reported by Testo et Sundue, 2016. You can sellect phylum, class, order and/or family and/or you can search for genus. Information regarding distribution of families are retrieved in most cases from Simpson (2010). Many different sources were used to information regarding distributions of genera. Information regarding habitus of families are retrieved in most cases from Simpson (2010). Many different sources were used to information regarding habitus of genera. System is according to Angiosperm Phylogeny Website, ver. 13. Number of genera and species of families, list of genera, and number of species of each genus is based on The Plant List 1.1 or Angiosperm Phylogeny Website, ver. 13 (thus the number often differes one from another). Some changes were made according to Tropicos. 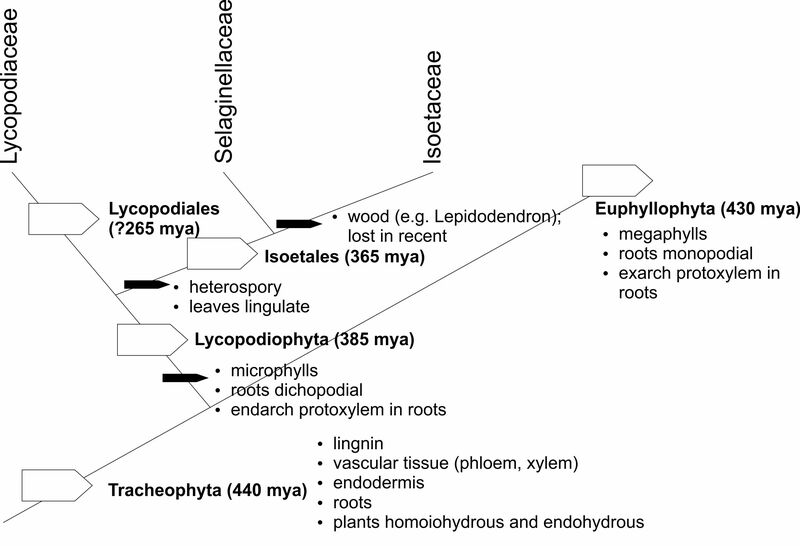 As there is great discrepancy in the “system” of Lycopodiophyta and Monilophyta, not all genera are included for Hymenophyllaceae, Polypodiaceae, Lindsaeaceae, Dennstaedtiaceae, Pteridaceae, Dryopteridaceae, Tectariaceae, Davalliaceae, Polypodiaceae, Aspleniaceae, Thelypteridaceae, Athyriaceae, Blechnaceae. For current system please check Angiosperm Phylogeny Website, for names Catalogue of Life or Tropicos.